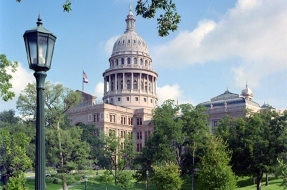 TASSP provides updates on legislative issues related to secondary schools in Texas. The Texas Association of Secondary School Principals has a long history of providing educational opportunities for students, conducting professional development training for principals and assistant principals and creating a network that allows professional educators the opportunity to work collaboratively on key educational issues—all aimed at the improvement of the educational system in Texas. TASSP is a non-profit association that sponsors both the Texas Association of Student Councils and the Texas Association of Future Educators, effectively broadening its base to affect the lives of thousands of students and teachers. Because of the complexity and accountability of the job of the school administrator, TASSP historically has supported a state-wide policy program that strengthens the principal as the instructional leader and campus-level decision-maker. TASSP has consistently maintained a state-wide policy program that ensures Texas students a safe and orderly learning environment. The mission of TASSP is to serve the students and principals in Texas by supporting a sound student and principal-based program. Throughout the 85th legislative session, TASSP will be working collaboratively with other educational associations to promote activities that positively impact teacher recruitment and retention.